[Jeri Ellsworth] stopped by Pearl Biotech’s booth at Maker Faire and took a look at their open source DNA sequencing work. It is by no means a grab-and-go solution for anyone, but from what we’ve seen in the video they’re breaking down those laboratory walls and letting us in to dabble at this work (assuming you’ve got a few hundred bucks to burn). There is a community for info and help that you can check out at BioCurious, and Pearl Biotech has gel box kits available (or the details if you care to source parts yourself), traditionally an extremely expensive part of the process. You’ll still need a centrifuge and a heating/cooling device to separate the strands but as you can see in the video, these can be hacked together rather easily. We’re glad that [Jeri] shot and posted this clip. She does a great job of explaining projects, whether it’s someone else’s like this or her own, like the transistor fabrication method. [Jos Weyers] tipping us off about this lock impressioning video. It shows his final round of the lock impressioning championship at this year’s SSDev conference. Even though he shaved about fifteen seconds off of his 87-second single-lock record from last year he came in third overall because the competition averages times over several rounds. This method of opening locks uses a file to create the correct teeth after examination of tiny marks on a key blank from trying to open the lock. We’ve seen foil impressioning as well as electronic impressioning, but video of the competitions makes this our favorite method. 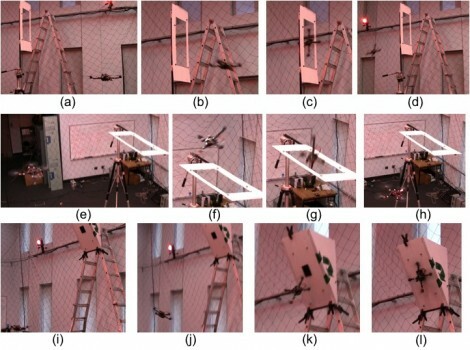 The University of Pennsylvania has churned out some impressive moves with a quadcopter. Perching on a vertical landing pad with some help from Velcro is impressive, but single and double flips combined with navigating through tight spaces at an angle makes this just amazing. We expect to see it in the next Bond film if it doesn’t show up in one of this summer’s action flicks. Kind of makes previously awesome quadcopters look a bit pedestrian. Video after the break. There’s a loaded gun but its got only one bullet. Spin the cylinder, point at head, and pull the trigger. The game’s not over until the bullet is used and a player is done. This game’s got a twist though, the cylinder has at least one million chambers. 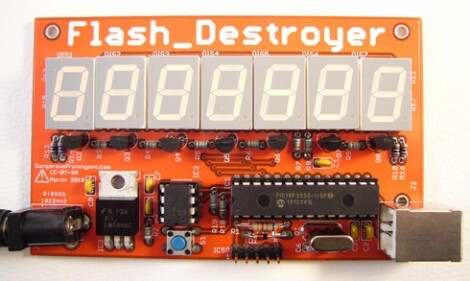 The Flash_Destroyer is testing the limits of EEPROM rewrites. It fills that little eight-pin chip with data, then verifies what has written. When it finds and error the game is over. The chip is rated for one million rewrites but while we were writing this it was already well over two and quarter million. We usually prefer to be creators and not destroyers with our hacks but there’s something delightful about running this chip into the ground. 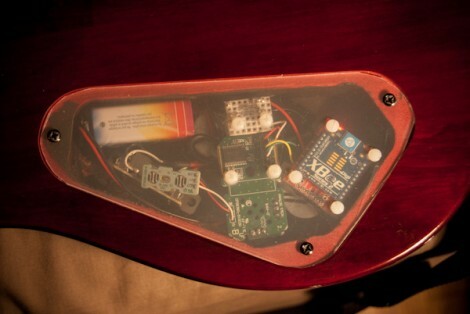 See the startup of this device after the break and click through the link above to see a streaming feed of the progress.